The Hopwicke Country House Hotel once boasted a clientele of the rich and famous. But hard times call for hard measures, so owner Suzy Longthorne throws open her doors to welcome the Pillars of Sussex, an elitist group of local businessmen whose social gatherings revolve around drinking and off-color commentary. Short staffed, Suzy recruits Jude as a waitress to help keep the spirits flowing. 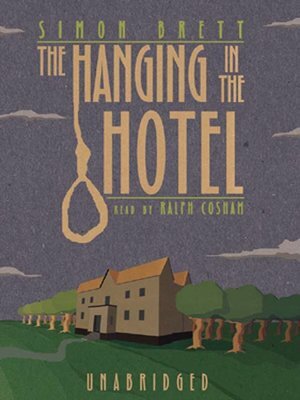 But the next morning, Jude discovers the body of a young man, supposedly an initiate for Pillar membership, hanging from the beam of a four-poster bed. The police are quick to rule the death a suicide. The Pillars of Sussex deny that the victim was ever considered for membership, and Suzy just wants to forget that it ever happened. But Jude knows that both parties have something to hide, and she's determined to uncover the truth.